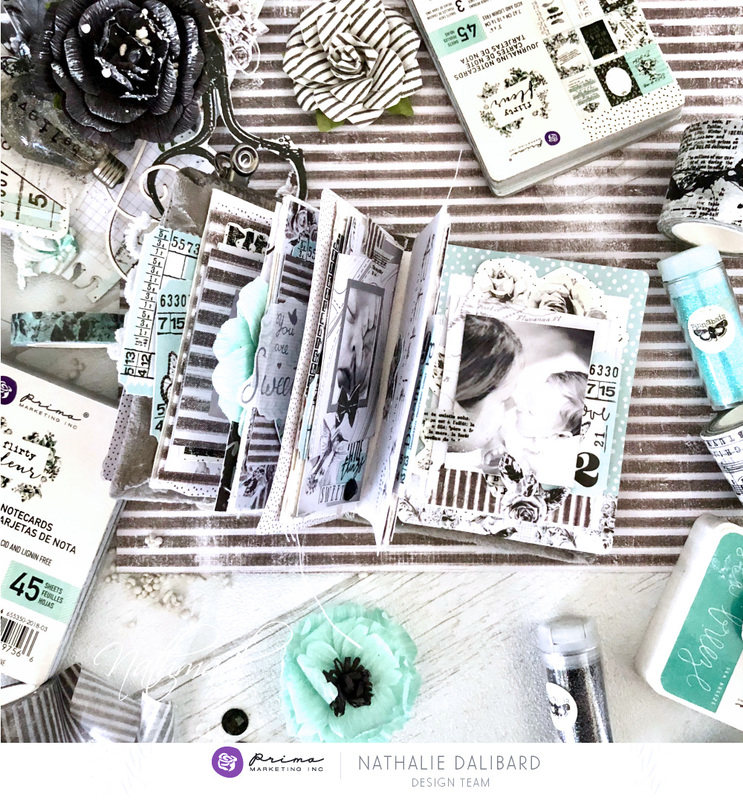 Our latest collection, Flirty Fleur, is downright SWEET! 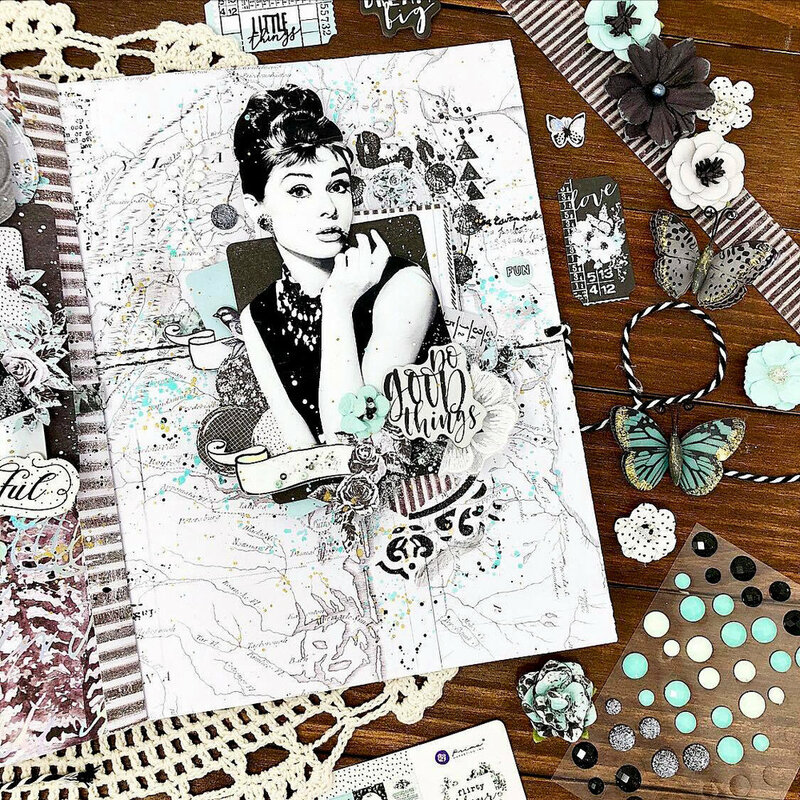 The whole collection has beautiful graphics, classic colors, and that Prima style that is beautifully timeless! 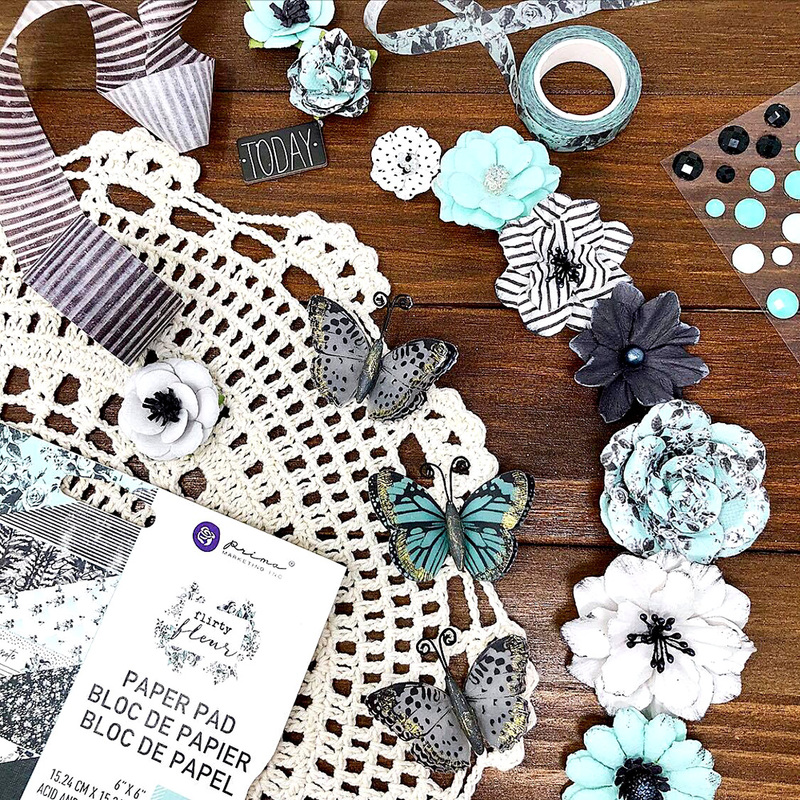 Today our papercraft experts were asked to play around with Flirty Fleur and here is what they created! 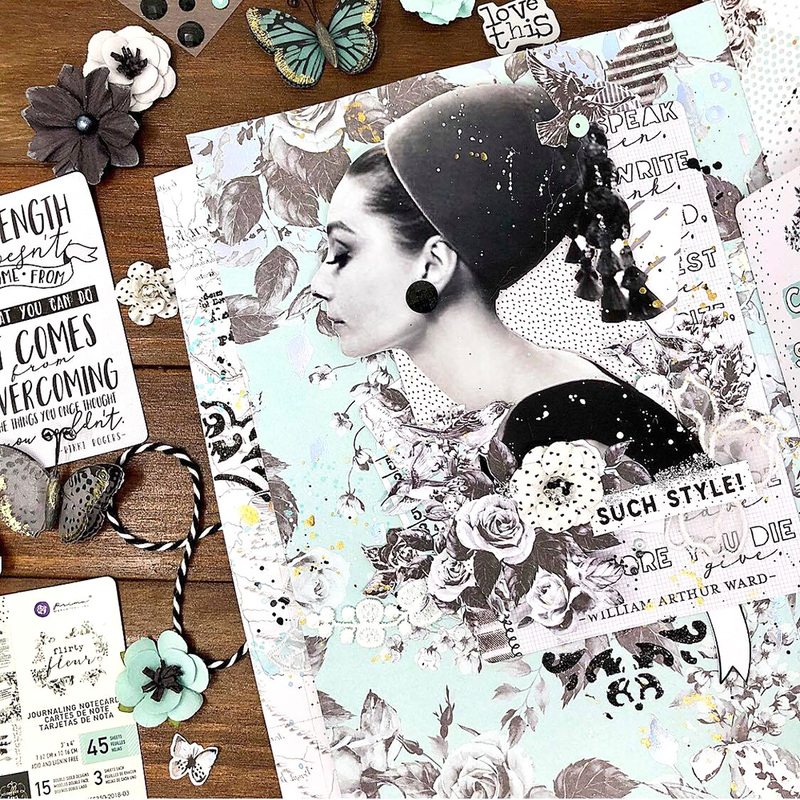 Here I used the stencil of the Misty ROSE collection : Misty Rose Flowers . 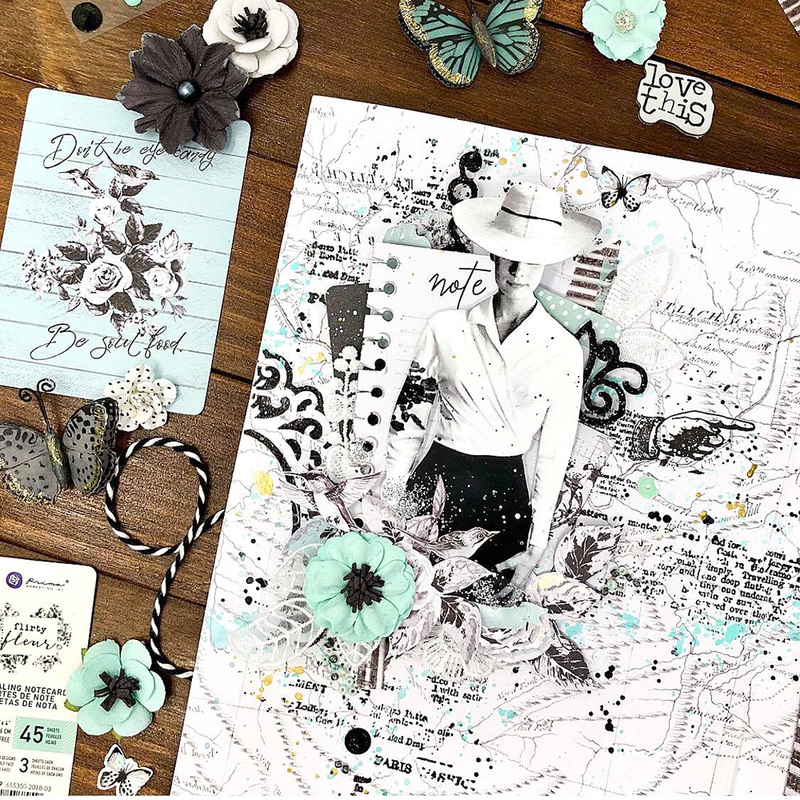 I layered with different Flirty Fleur embellishments, flowers … I cut the leaves into the papers Flirty Fleur 12x12 Paper - Traveling Florals and Flirty Fleur 12x12 Paper - Something Floral. 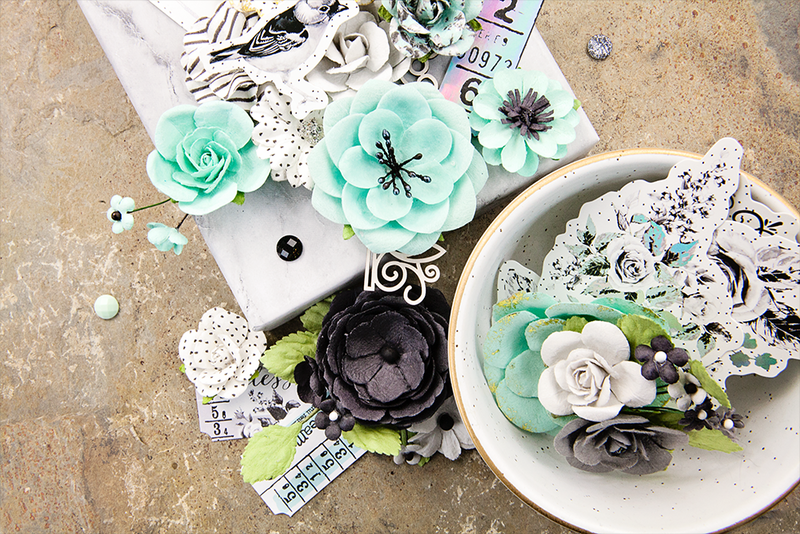 I mixed them with some elements of ZELLA TEAL papers. 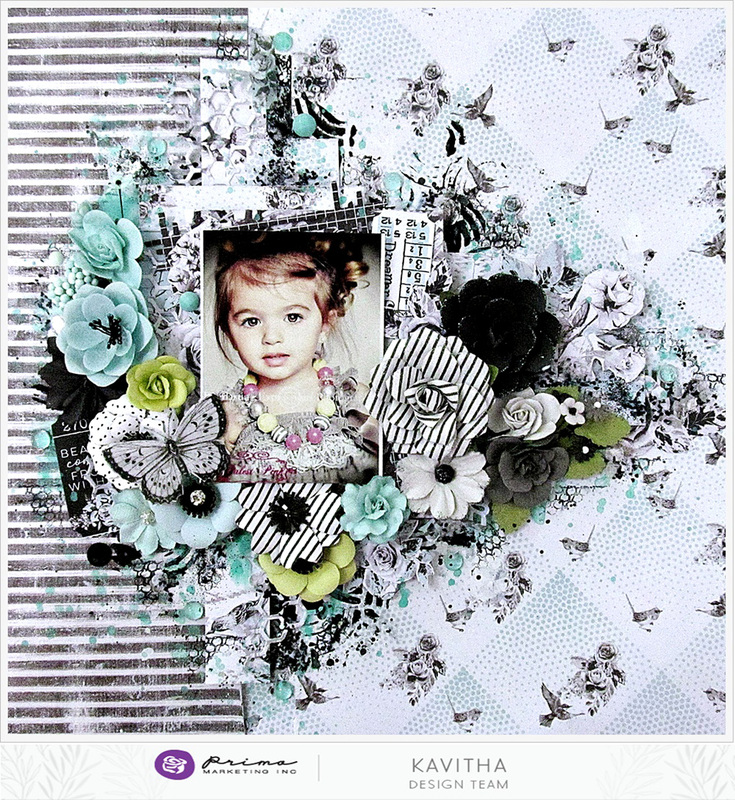 Kavitha brings us a stunning layout with a mix of bold stripes and soft floral patterns...both beautifully balanced on her stunning design. 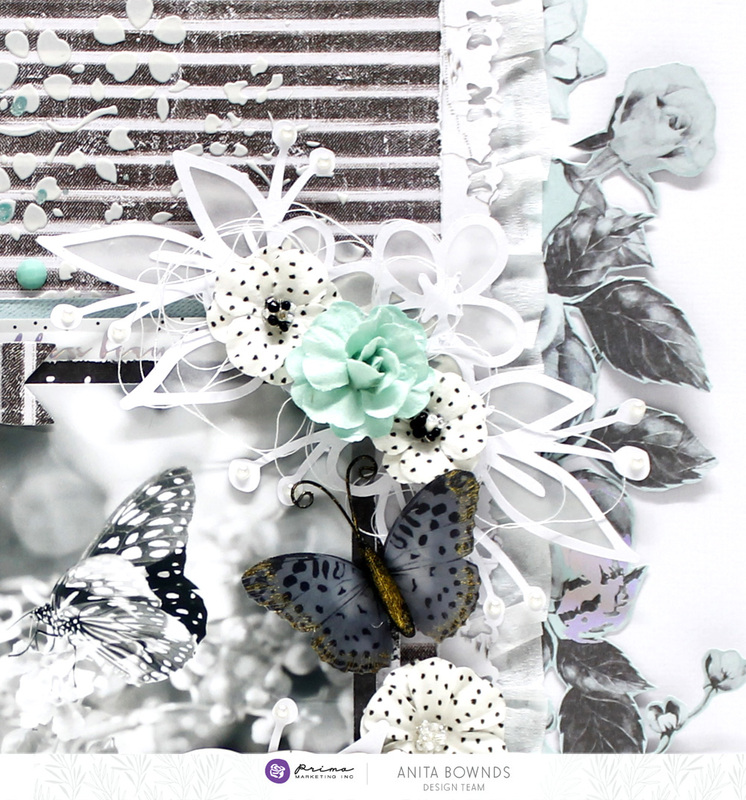 A beautiful bouquet of Flirty Fleur flowers frame the gorgeous photo, all topped with a Prima butterfly! Pull out your PTJs because Flirty Fleur is going to make them look GORGEOUS! 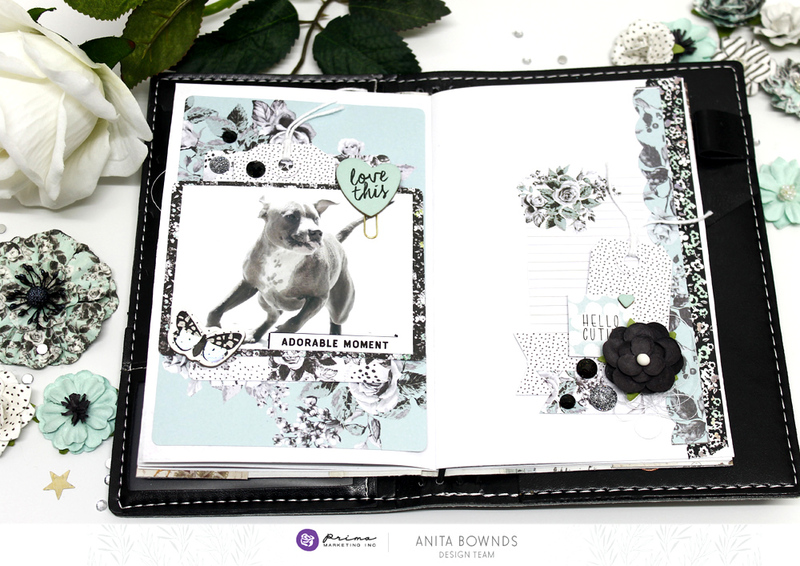 Anita added a few memory keeping pages in her insert with photos of her precious pup! 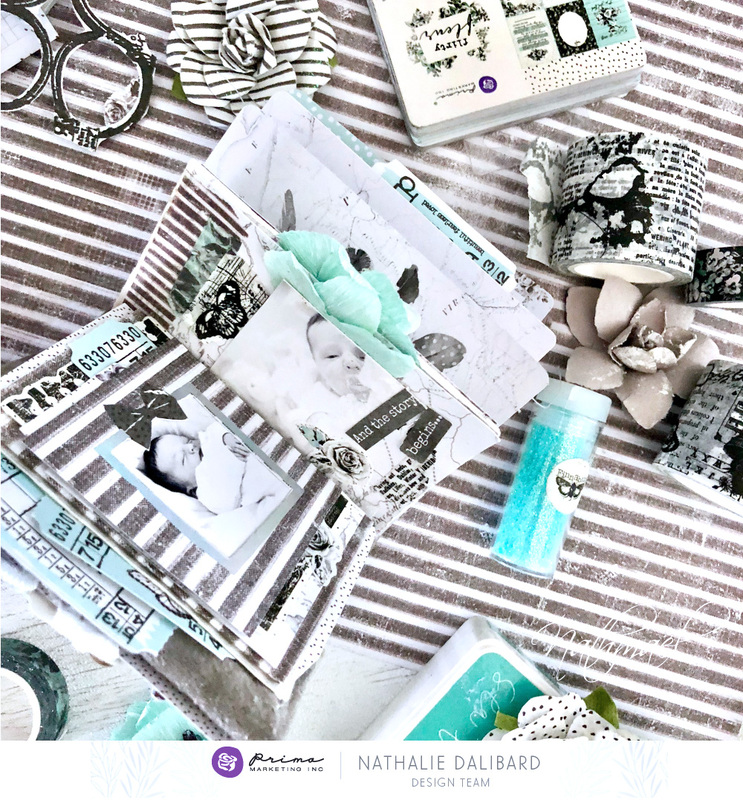 All it takes is a few items and your pages are going to look magnificent. Today: Time to Flirt A Bit!